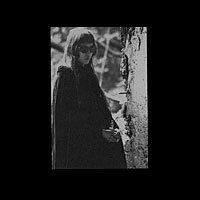 This is release number two from Keiji Haino’s bar band. (The first self-titled one was released on a Japanese major label called Tokuma, catalog number TKCF 77022.) It features covers of The Ronettes, The Rolling Stones and The Spiders—among a slew of “hoary old Japanese MOR classics” with titles like “Your Eyes Have the Sparkle of 10,000 Volts,” “150 Tons Of Dynamite” and “Vent Your Anger.” These tunes, brightly recorded live in tiny dumps and mostly played in a vaguely straightforward manner, display Haino in some of his most regular rocking moments ever—albeit in full-on garage mode spackled with squealing distortion. It’s interesting to hear “Be My Baby” plod along as the vocal lines are joined with keening guitar distortion. The main riff of “Satisfaction” is somewhat recognizable, despite the fact that the song is submerged in screeching dissonance, but not much else of the original remains within the lengthy 14 minutes of this irreverent psych / dunce workout. Haino spits some words (in Japanese) in apparent disgust, the amplifier whistles, the rhythm section of Ikuro Takahashi on drums and Masami Kawaguchi on bass plods ever forward. If you insist that covers must be done, this is surely the way to do it. Serious garage fans and likers of the first Aihiyo disc better put a sticky note on this CD that reads, “Buy very soon.” The all-black package boasts numerous photos of Haino kicking it around Tokyo, hanging out by a high rise building and stone globe or sitting in a local café enjoying a cup of tea. Can you say lifestyle? Aihiyo is a guitar, bass and drums trio fronted by Keiji Haino that played skewed versions of traditional Japanese pop songs back in the late 1990s. 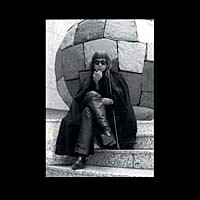 Along with the first Fushitsusha Live 2-CD (PSFD-3/4) this is the most “accessible” Keiji Haino music available, yet it’s sufficiently scattered off-center to be of interest to those who enjoy staring at aquariums. The CD opens with a rapidly jaunting little verse-chorus-verse number that is a very joyful listen—especially coming from Haino. It’s not too often you hear something so peppy coming from this camp. Track two is something of a ballad that starts off with mellower melodies that explode into loud feedback guitar with spare bass and drum accompaniment. Haino busts out the harmonica on the next song—interspersed with his exclusive feedback microphone vocal attacks. There’s no guitar on this one, and it’s still more raw than than your average trailer park. Track four is a very quiet, floating guitar and voice ballad with nary any other accompaniment. The following song is propelled by a looping bassline and steady drum beat; along with an exquisite, trebly, psych-guitar workout from Haino-san. It’s really a rocker and one of his best, most popularly enjoyable tracks anywhere. Track six is more slow, and lurches forward in awkward stutters. The last three songs are fairly mild ballads–with track eight adding keening vocals and sections of rising amplitude—exploding into feedback and agitated vocals at the end. Unfortunately, there are no English lyric translations with this CD. If you’ve never heard Keiji Haino, this is one of the best points of entry. You are currently browsing the archives for the Aihiyo category.